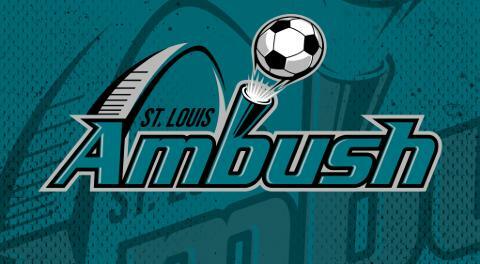 St. Charles, MO (March 2, 2019) – The St. Louis Ambush fell 8-5 to the Harrisburg Heat Saturday night at the Family Arena. The loss dropped the Ambush to 9-10 on the season, while Harrisburg improved to 6-9. The visitors drew first blood early in the first quarter on an upper ninety shot by William Eskay. Dominic Francis increased Harrisburg’s lead to two with his power play tally with only seven seconds remaining in the period. The Heat started pulling away with two goals within the first five minutes of the second quarter, courtesy of Vesko Konov and Francis’ second of the game. The Ambush and goalkeeper Paulo appeared unable to stop Harrisburg’s runaway offense as Tavoy Morgan scored with ease to make the score 5-0. The Ambush finally got on the board when Felipe nailed a long shot from just outside the arc to reduce the deficit to 5-1. The Heat answered when Ricardo Carvalho was allowed to break free with the ball and beat Paulo with less than two minutes remaining in the half. Morgan added to the home team’s woes with his second of the night with 13 seconds left in the half, to send the game into halftime with the Heat enjoying a 7-1 lead. Following the disastrous first half, the Ambush staged a comeback in the second half, scoring three goals in the third quarter and one in the fourth to Harrisburg’s one fourth quarter goal. Despite their efforts to dig out of their first half hole, it proved to be too deep. Third quarter goals for St. Louis came from Clayton, Zach Reget and Felipe. The Ambush goal in the fourth quarter came from JT Thomas, while Harrisburg’s Francis scored to complete the hat trick. The final score was 8-5, not the outcome the Ambush hoped for if they are to keep their playoff hopes alive. Things don’t get any easier for the Ambush as they host the first-place Milwaukee Wave at 3:05 p.m. tomorrow afternoon at the Family Arena. On Sunday, the popular Annual Mascot Game will be held at halftime, featuring mascots from various St. Louis area sports teams, businesses and organizations.